Cardiovascular deconditioning is known to occur in astronauts exposed to microgravity. 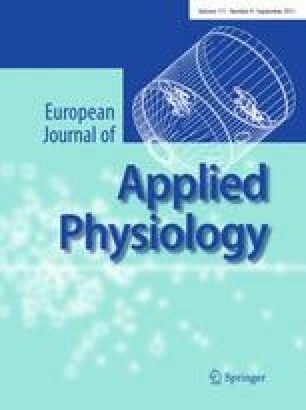 Endothelial dysfunction at microcirculatory sites might contribute to cardiovascular deconditioning induced by weightlessness. Recent studies have reported changes in the morphology and gene expression of endothelial cells exposed to conditions of simulated microgravity. The present study was aimed at examining the effects of microgravity on the apoptosis of microvascular endothelial cells and the mechanism underlying these effects. We simulated a microgravity environment and found that microgravity induced microvascular endothelial cell apoptosis and that this effect was correlated with the downregulation of the PI3K/Akt pathway, increased expression of NF-κB, and depolymerization of F-actin. These findings may provide important insights into the origin of the adverse physiological changes occurring due to exposure to microgravity conditions. C.-Y. Kang and L. Zou contributed equally to this work. This work was supported by the Defense Medical Fund of China (Grant No. 06Z048) and State Key Laboratory of Space Medicine Fundamentals and Application, China Astronaut Research and Training Center (Grant No. SMFA09A02). We thank Prof. Ying-Hui Li, Chang-Yong Wang, and Gen-Sheng Han for expert technical assistance. The author(s) declare no conflicts of interest with respect to the authorship and/or publication of this article.